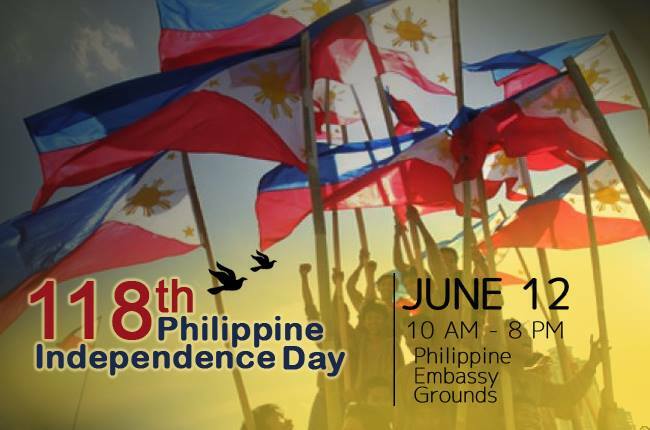 To commemorate the 118th Anniversary of the Declaration of Philippine Independence, the traditional annual Barrio Fiesta will be held at the Philippine Embassy grounds on June 12, 2016. The celebration is open to everyone. 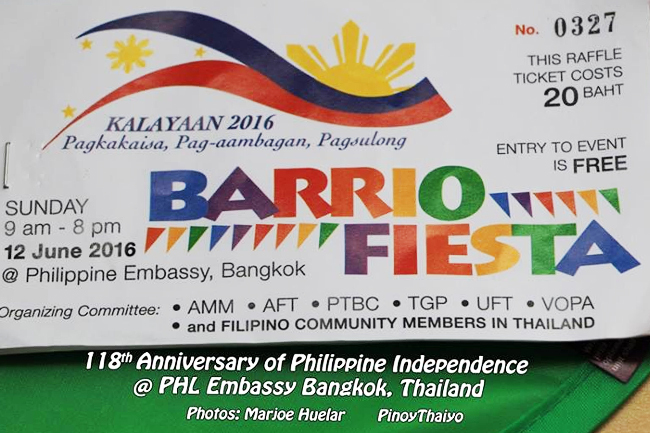 “Barrio Fiesta 2016 brings together Filipino families and friends in the spirit of nationalism in an atmosphere of joy and camaraderie. 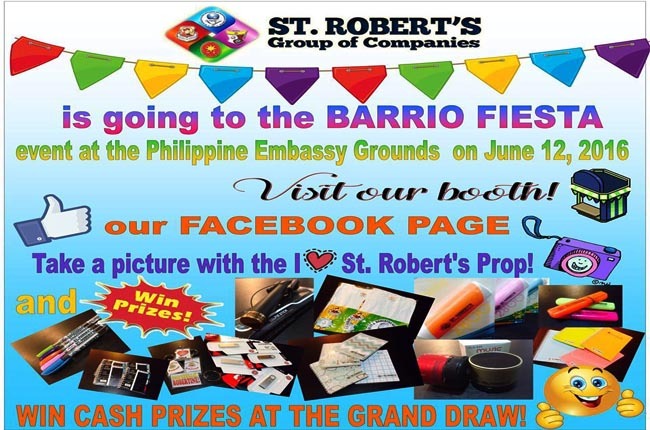 Just like previous Barrio Fiestas, the event will showcase Filipino food and products and will be packed with lots of fun, games, singing, dancing, cultural presentations and exciting raffle prizes,” the Embassy said on its website. The Organizing Committee is inviting sponsors and booth operators to participate in the event. 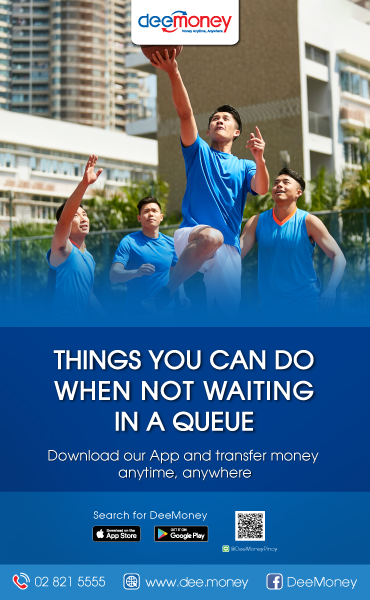 Interested parties may contact the organizers directly at 0851290519, 0816252827 or 0892459091.